Seeing as it is now on or around the 11th of January, or perhaps just after it, I thought that this might be considered the apposite time for making, announcing and committing to those New Years Resolution things, precisely the way that I intended to type them up on New Years Day – the point at which this post was created, titled, and put on draft. 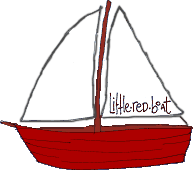 1) Post at least once a day on littleredboat.co.uk, every single day of the calendar year. Oh furry pighole, I have fallen already. Right. Well. Ill have another go at those new years resolution things tomorrow – or, as they should probably be renamed, semi-mini-partial-yearthrough statements of dubious longstandingness – I did think I should just check in and say that I am not dead, just quiet. And hello. And that was all, really. 2010s going quite well, isnt it?